In 2005 Jason started his real estate career where he could peruse his passion for architecture and real estate. Today, with over 150 million in sales revenues and over 340 transactions, Jason has been recognized by the Denver Home Builders Association as a top Stapleton Realtor in new home sales in Colorado. 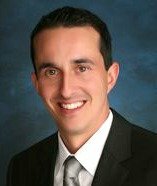 In 2007, Jason won Salesperson of the Year for the Denver Home Builders Association and HBA’s National Sales Consultant Silver Award. While demonstrating energy, passion, and integrity for his clients and the real estate industry, he is committed to building lifelong relationships with his clients. With over 8 years of extensive residential construction knowledge, as well as Energy Star and Green Home training, Jason is able to assist his clients in identifying and answering questions on all facets of home construction. Plus, he knows the neighborhoods and schools in Stapleton and the suburbs Also, with the personal experience of relocating his family, he understands how to make the transition to Colorado smooth and enjoyable. Jason Cummings (left) and Jesus Orozco of the Hotz Group in Stapleton new home. Jason met his wife Katy in New Orleans while vacationing with friends, and have been married since 2001. Their daughter, Bella, is eight and is on a year-round competitive swim team. Brendan is six and enjoys playing hockey and basketball. The kids go to Cherry Creek Schools, where Katy volunteers. The Cummings’ family enjoys camping, hiking, skiing and family game night. They like to visit Jason’s family and friends in California, and Katy’s in Rhode Island. Jason specializes in Denver, Stapleton, Lowry, DTC, and Surburban Arapahoe County. He has experience in dealing with luxury and custom homes, contemporary architecture, and new construction. He provides the personal and knowledgeable services your family should expect. Jason doesn’t just sell homes. He helps relocation families accomplish their objectives and their needs as they transition into a whole new lifestyle in Denver.